Long gone are the days of simply tracking page views as a measure of engagement. Now it’s about engagement analysis, which is layered and provides insight for effective data-driven decisions. Why is visitor engagement important? It’s vital to measure engagement if you have anything content related that plays a role in your customer’s journey. Some websites may find more value in figuring out how engaging their entire site is, while others may only want to zone in on, say, a blogging section, e-newsletters, social media channels or sign-up pages. In the larger scheme of things, engagement can be seen as what’s running your site. Every aspect of the buyer’s journey requires your visitors to be engaged. Whether you’re trying to attract, convert or build a loyal audience base, you need to know your content is optimised to maintain their attention and encourage them along the path to purchase, conversion or loyalty. How can web analytics help increase engagement on your site? Web analytics tools give your website a fighting chance to make a lasting impression. Discover how engaged people are with your website by uncovering behavioural patterns that tell you how well your site and content is or isn’t performing. This insight helps you reevaluate, adapt and optimise your content and strategy. The more engaged they are, the more likely you’ll be able to guide them on a predetermined journey that results in conversions; and helps you reach the goals you’ve set for your business. Effortlessly discover how your visitors truly engage with your most important web pages that impact the success of your business. 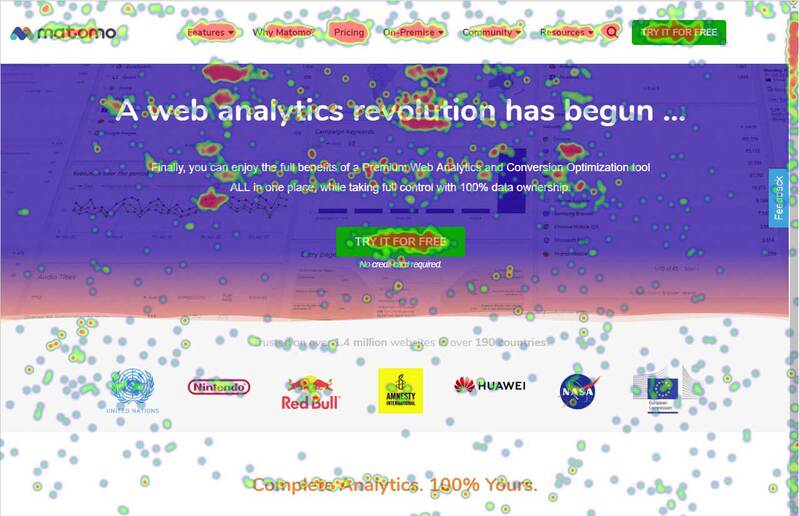 Heatmaps shows you visually where your visitors try to click, move the mouse and how far down they scroll on each page. You don’t need to waste time digging for key metrics or worry about putting together tables of data to understand how your visitors are interacting with your website. Heatmaps make it easy and fast to discover where your users are paying their attention, where they have problems, where useless content is and how engaging your content is. Get insights that you cannot get from traditional reports. How to increase engagement with Heatmaps: See what content they’re actually engaging with, how they’re interacting with it and make sure the most important information you want them to read or watch is well placed on the page. E.g. If visitors are spending too much time on an image and don’t scroll down the page to read the rest of the copy where your call-to-action is. The truth is, you never know what really works the best (and what doesn’t) unless you test it. With A/B Testing you reduce risk in your decision making and can test what your visitors are responding well to. How to increase engagement with A/B Testing: Test, test and test. This is a surefire way to learn what content is leading your visitors on a path to conversion and what isn’t. Allows you to learn how visitors are responding to your content. This information is gathered by drawing insight from features such as site search, downloads, events and content interactions. This section aims to answer questions such as: what pages should they see? Are there actions they need to take? What behaviours are you expecting when people get to your site? Get complete insights on what pages your users engage with, what pages provide little value to your business and see the results of entry and exit pages. If important content is generating low traffic, you need to place it where it can be seen. Spend time where it matters and focus on the content that will engage with your users and see how it eventually converts them into customers. Which of those keywords resulted in no results (what content your visitors are looking for but cannot find). What are users wanting to take away with them? They could be downloading .pdfs, .zip files, ebooks, infographics or other free/paid resources. For example, if you were working for an education institution and created valuable information packs for students that you made available online in .pdf format. To see an increase in downloads meant students were finding the .pdfs and realising the need to download them. No downloads could mean the information packs weren’t being found which would be problematic. 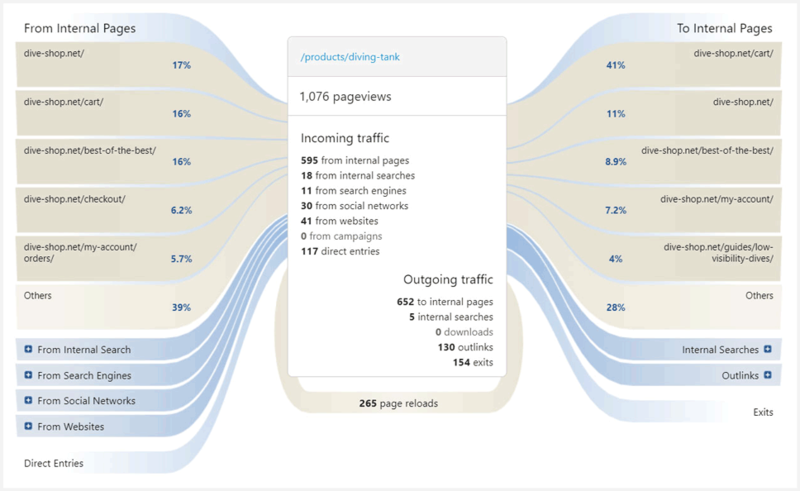 Tracking events is a very useful way to measure the interactions your users have with your website content, which are not directly page views or downloads. How has it been used effectively? A great example comes from one of our customers, Catalyst. They wanted to capture and measure the user interaction of accordions (an area of content that expands or closes depending on how a user interacts with it) to see if people were actually getting all of the information available to them on this one page. By creating an Event to record which accordion had been opened, as well as creating events for other user interactions, they were able to figure out which content got the most engagement and which got the least. Being able to see how visitors navigated through their website helped them optimise the site to ensure people were getting the relevant information they were craving. Content tracking allows you to track interaction within the content of your web page. Go beyond page views, bounce rates and average time spent on page with your content. 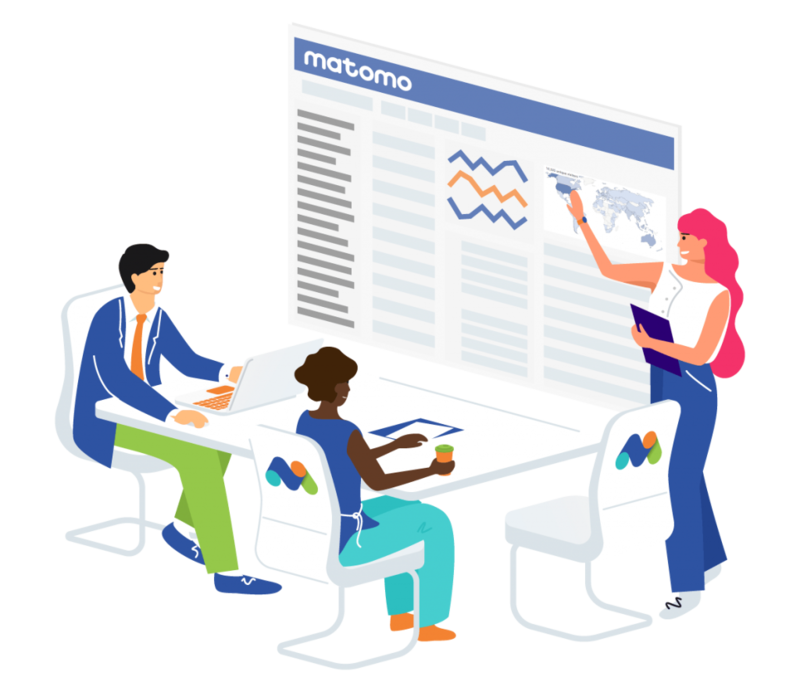 Instead you can analyse content interaction rates based on mouse clicking and configuring scrolling or hovering behaviours to see precisely how engaged your users are. If interaction rates are low, perhaps you need to restructure your page layout to grab your user’s attention sooner. Possibly you will get more interaction when you have more images or banner ads to other areas of your business. How to increase engagement with Media Analytics: These metrics give a picture of how audiences are behaving when it comes to your content. By showing insights such as, how popular your media content is, how engaging it is and which days content will be most viewed, you can tailor content strategies to produce content people will actually find interesting and watch/listen. 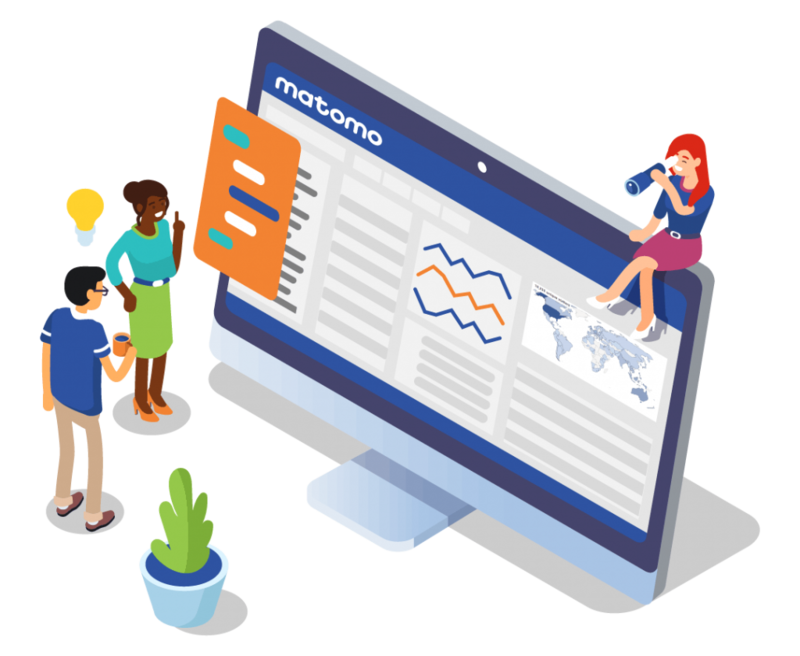 Matomo example: When we went through the feature video metrics on our own site to see how our videos were performing, we noticed our Acquisition video had a 95% completion rate. Even though it was longer than most videos, the stats showed us it had, by far, the most engagement. 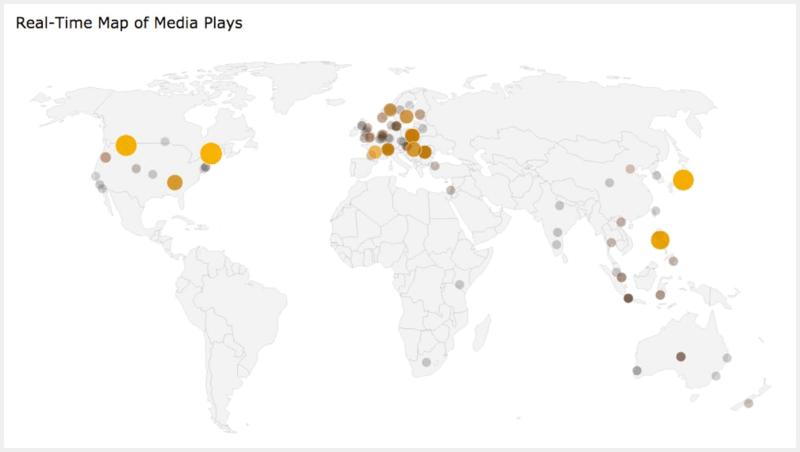 By using Media Analytics to get insights on the best and worst performing videos, we gathered useful info to help us better allocate resources effectively so that in the future, we’re producing more videos that will be watched. 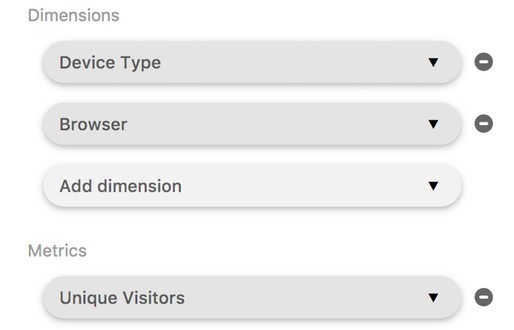 Visualise patterns of visitor behaviour related to the entry onto a page and where they exit to. Transitions shows engagement on each page and whether the content is leading them to the pages you want them to be directed to. How to increase engagement with Transitions: Identify clearly where users may be getting distracted to click away and where other pages are creating opportunity to click-through to conversion. You can choose from over 200 dimensions and metrics to get the insights you need as well as various visualisation options. 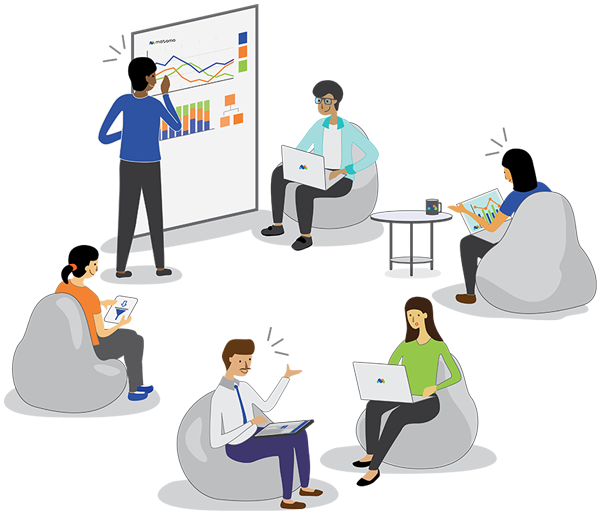 This makes understanding the data incredibly easy and you can get the insights you need instantly for faster results without the need for a developer. How to increase engagement with Custom Reports: Set custom reports to see when content is being viewed and figure out how engaged users are by looking at different hours of the day or which days of the week they’re visiting your website. For example, you could be wondering what hour of the day performed best for converting your customers. Understanding these metrics helps you figure out the best time to schedule your blog posts, pay-per-click advertising, edms or social media posts knowing that your visitors are more likely to convert at different times. “Best” metrics are hard to determine so you’ll need to ask yourself what you want to do or what you want your site to do. How do you want your users to behave or what kind of buyer’s journey do you want them to have? Time on site – a long time on site is usually a good indication that people are spending time reading, navigating and being engaged with your website. Frequency of visit – how often do people come back to interact with the content on your website? The higher the % of your visitors that come back time and time again will show how engaged they are with your content. Pages per session – is great to show engagement because it shows visitors are happy going through your website and learn more about your business. Takeaway: Whichever stage of the buyer’s journey your visitors are in, you need to ensure your content is optimised for engagement so that visitors can easily spend time on your website. As you can tell, one size does not fit all when it comes to analysing and measuring engagement, but with a toolkit of features, you can make sure you have everything you need to experiment and figure out the metrics that matter to the success of your business and website. Concurrently, these gentle nudges for visitors to consume more and more content encourages them along their path to purchase, conversion or loyalty. They get a more engaging website experience over time and you get happy visitors/customers who end up coming back for more.